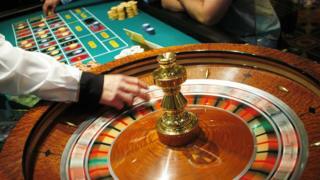 Shares in Asian casino firms fell on Monday amid fears of a Chinese crackdown on foreign operators. Crown Resorts, controlled by James Packer, closed 13.9% lower after Crown confirmed 18 of its staff had been detained in China. Among those arrested was a senior executive in charge of attracting high-rollers to Australia. Most gambling is illegal on mainland China, and soliciting its citizens to gamble overseas is also banned. But some firms have continued to market resort and tourism services where their casinos are located. Shares in Asian casino operators Sands China, Galaxy Entertainment and MGM China fell about 3% in Hong Kong, while Australia's Star Entertainments shed nearly 4% in Sydney. Crown said it had not been given any explanation for the arrests and had not been able to speak to its staff. The employees held are 15 local staff as well as three Australian citizens - including Jason O'Connor, the executive vice-president of the firm's VIP International business - a programme aimed at bringing wealthy customers from abroad to Australia. China's foreign ministry told Reuters that it had detained some Australian nationals for suspected "gambling crimes" but gave no further explanation. The matter is still being investigated. Julie Bishop, the Australian foreign minister, said consular officials in Shanghai were offering appropriate assistance for the three Australians, all of whom had legal representation provided by Crown. The husband of one of the local Chinese Crown employees arrested has told the BBC he is "completely dumbfounded" about why she has been detained. He said his wife was questioned for almost three hours after police arrived at their Shanghai apartment in the early hours of Friday morning. She was taken away and he was formally advised of her arrest yesterday. It's been reported that the arrests are part of a crackdown by the Chinese authorities on foreign casino companies who are suspected of encouraging Chinese nationals to travel abroad to gamble. There is also an ongoing campaign to tackle corruption and international money laundering in China. Image caption Crown Resorts was started in Melbourne and has since expanded to Sydney, Perth, London, Macau, Manila and Las Vegas. Profits from VIP International account for a vital chunk of Crown's revenue. China's citizens are among the world's most prolific gamblers. Many used to travel to the Chinese territory of Macau, but since Beijing's crackdown on corruption targeting the flow of capital overseas, Chinese gamblers have looked elsewhere - and foreign operators have tried to tap into that market. Last year, 13 South Korean casino managers were arrested in China on charges of offering Chinese gamblers free tours, hotels and sexual services. Vitaly Umansky, an analyst at Bernstein in Hong Kong, said the detentions appeared to be a repeat of China's crackdown on South Korean casino marketing efforts. "The Chinese government seems to be making a clear statement about its view on gaming activity being offshored to foreign jurisdictions, while Macau is not being targeted in the same way," he said.